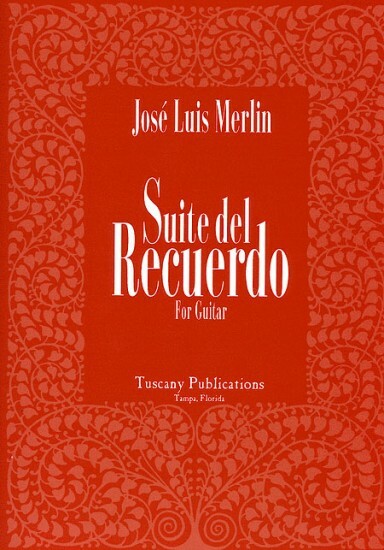 Suite Del Recuerdo - Guitar by Jose Luis Merlin (1952-). For guitar. 20th Century. Difficulty: medium. Guitar solo book. Standard guitar notation (no tablature) and guitar notation legend. 15 pages. Published by Tuscany Publications (PR.494017830). With standard guitar notation (no tablature) and guitar notation legend. 20th Century.